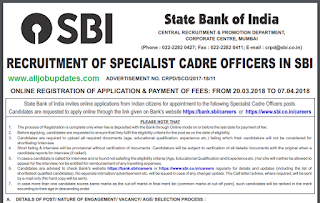 State Bank of india (SBI) has released a notification for the recruitment of Specialist cadre Officer Posts. 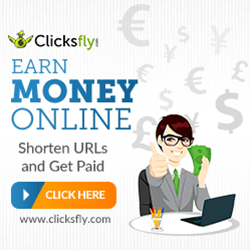 Eligible candidates may apply online from 20-03-2018 to 07-04-2018. Other details given below.. 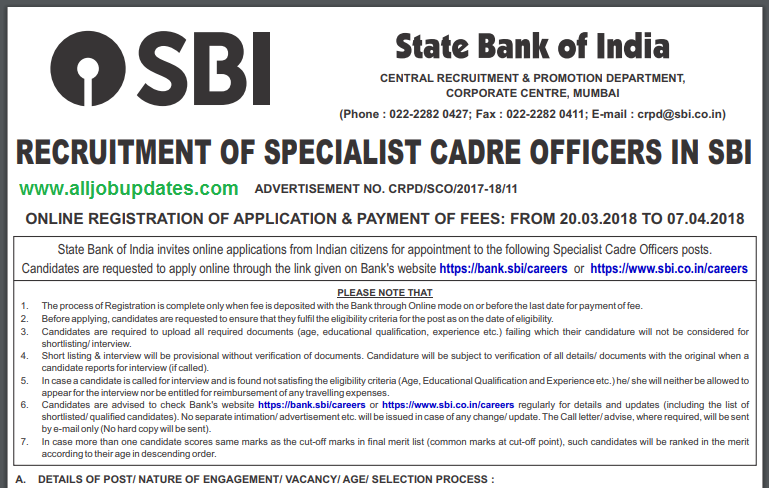 Application Fee: Rs.600 for General/OBC & Rs.100 for SC/ST/PWD candidates payment through online mode by using Net-Banking/Credit or Debit Card.